Properties in Western Cape average 4.6 out of 5 stars. Splendid well-equipped Rondebosch Self-Catering Cottage. 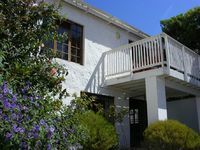 Property 13: Splendid well-equipped Rondebosch Self-Catering Cottage. Cozy bungalow w/ gorgeous views of the water - walk to the beach! Property 20: Cozy bungalow w/ gorgeous views of the water - walk to the beach! Comfortable cottage with a great location and easy access to coast! Property 24: Comfortable cottage with a great location and easy access to coast! Property 32: Your home away from home! comfortable and affordable cosy tuin huisie with hiking and horse riding. Property 40: comfortable and affordable cosy tuin huisie with hiking and horse riding. We very much enjoyed our stay in Mossel Bay. 5 Lelidal had a very nice master bedroom and deck, a second bed and kitchen and great security. The location was perfect. We hiked the coast trail by Blyde light House... incredible! Also the price was quite reasonable (low). Corne's and Bill's cottage is a haven of tranquility and comfort. 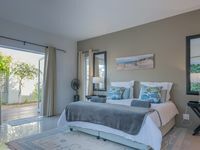 Just steps from the beach and close to all shopping amenities in Noordhoek, it is the ideal launch pad for exploring all the Peninsula has to offer. Corne and Bill will go out of their way to make your stay comfortable, including washing the dishes!